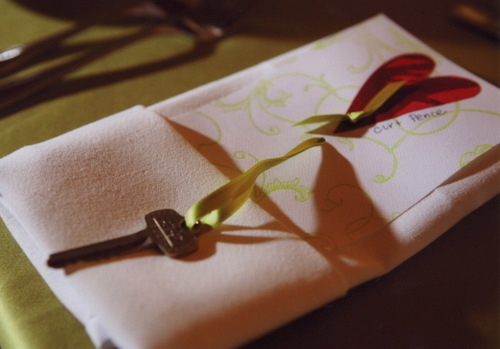 Conversation starters were tucked into each guest's napkin at this seated dinner reception. The key was for guests to "try their hand" at a set of three boxes near the bar, each one of which contained a small prize symbolic of the bride and groom. Photo courtesy Eric Cable.